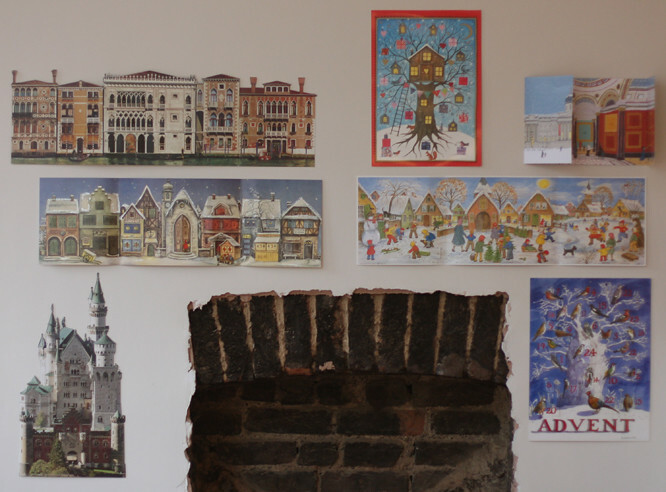 Yep, Christmas is on its way - first day of advent tomorrow, and as I currently have enough wallspace (around the oh-so-elegant fireplace) I thought why not just put up all my advent calendars? A slightly weird addiction I know. A few years ago I felt like it was really hard to find a good traditional advent calendar so when I saw good ones I felt justified in buying them... now there are LOTS of really lovely ones around, so I have to limit myself to one (or two) a year. 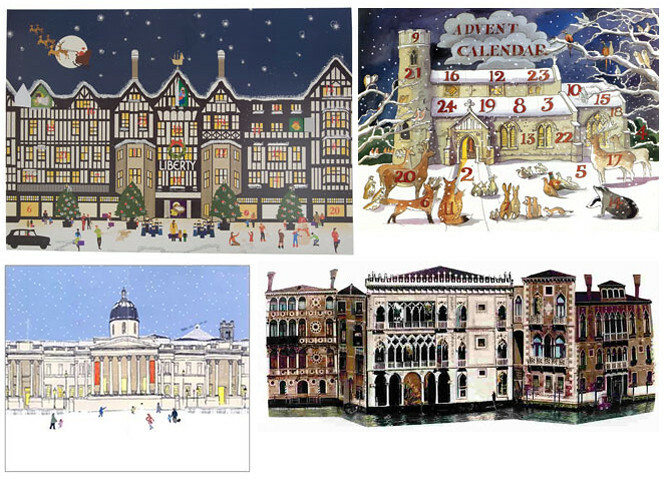 Both the National Gallery and Liberty do lovely advent calenders of their buildings. I have a Matthew Rice (Emma Bridgewater's husband) one from last year, his new ones for this year are temptingly quaint, but my favourite ones have got to be the Kreuter Advent Calendars. I have the one of Venice and one of Schloss Neuschwanstein. I'm hoping I don't see too many more for sale this year as I'm not sure I can trust myself. 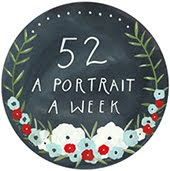 Of course I know I SHOULD be making an advent calendar... I'm just not as convinced by all these felty/Christmas tree pocket creations. And also, lets face it, advent starts tomorrow, so I've missed the boat on that one for this year.